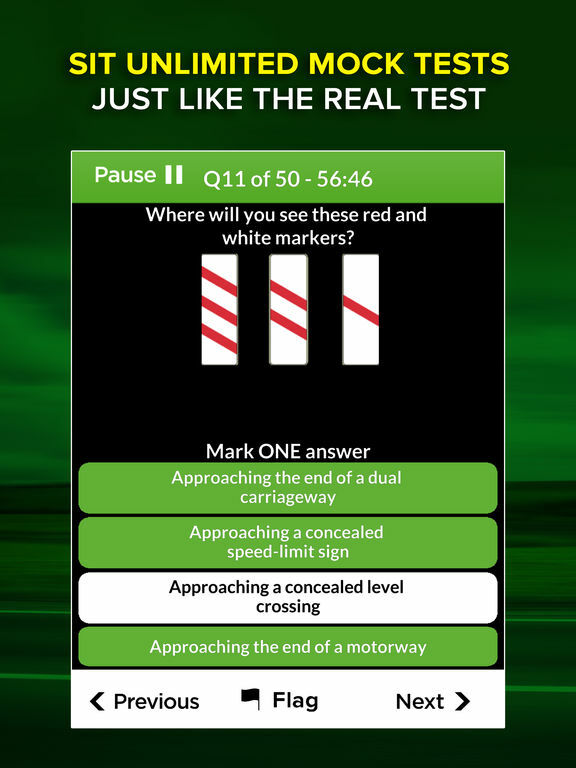 This 3-in-1 app includes EVERYTHING a learner needs to pass their Theory Test FIRST TIME! 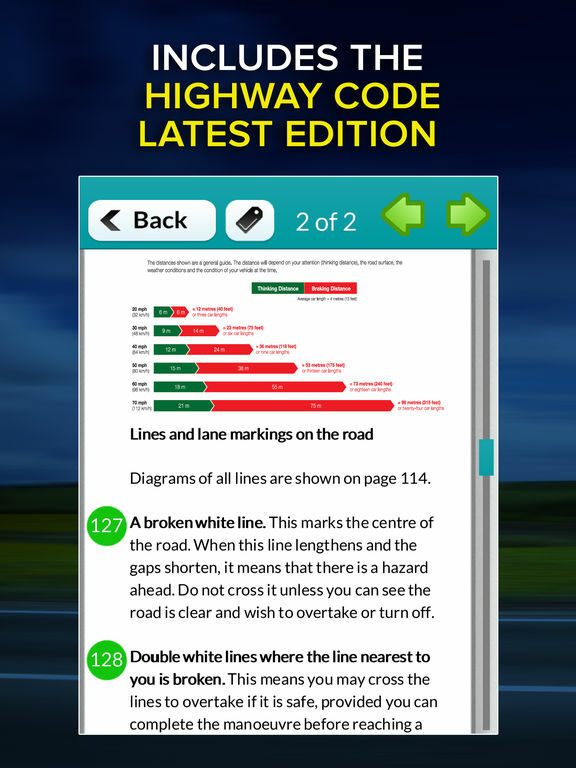 Revise from the OFFICIAL DVSA Theory Test revision questions, practise the largest collection of hazard perception video clips (more than any other app on the app store) and learn from the latest edition of the Highway Code. 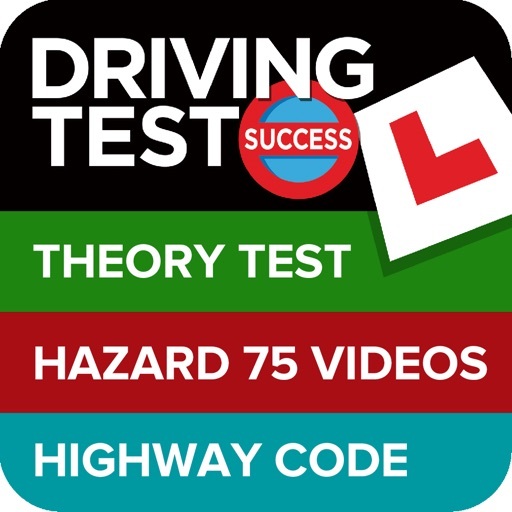 - THEORY TEST - Contains the most up-to-date official 777 revision questions, answers and explanations from the DVSA – the people who set the tests. You’ll find all 14 official DVSA topics included as well as useful hints and explanations to make your learning more efficient. - FULL CONTROL - We understand that everyone likes to revise differently, that’s why you have full control over your learning. Choose which categories you want to learn from, select the number of questions and off you go! You can even filter questions that you have not yet seen or previously answered incorrectly. 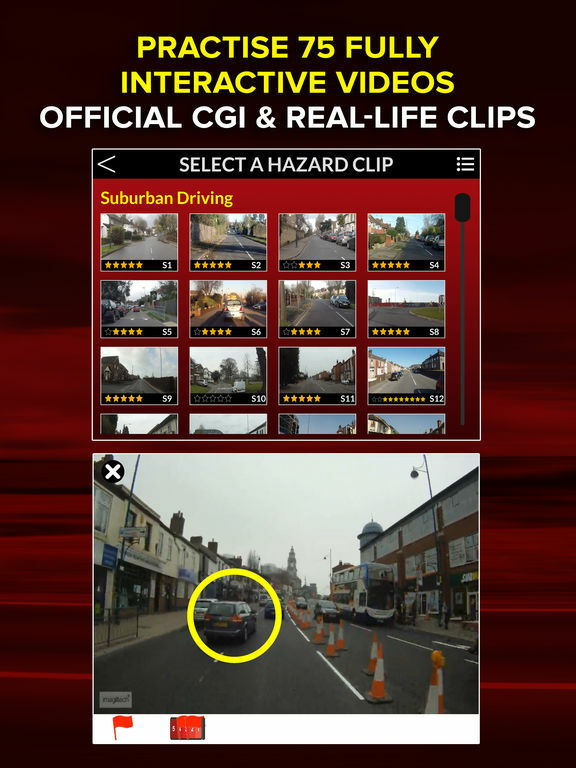 - HAZARD PERCEPTION – Practise 75 high quality and fully interactive hazard perception video clips - that’s far more than any other app on the App Store! Includes all the OFFICIAL CGI video clips and introduction video, PLUS built in anti-cheating mechanism! - MOCK TESTS - Sit unlimited theory and hazard mock tests just like the real test. 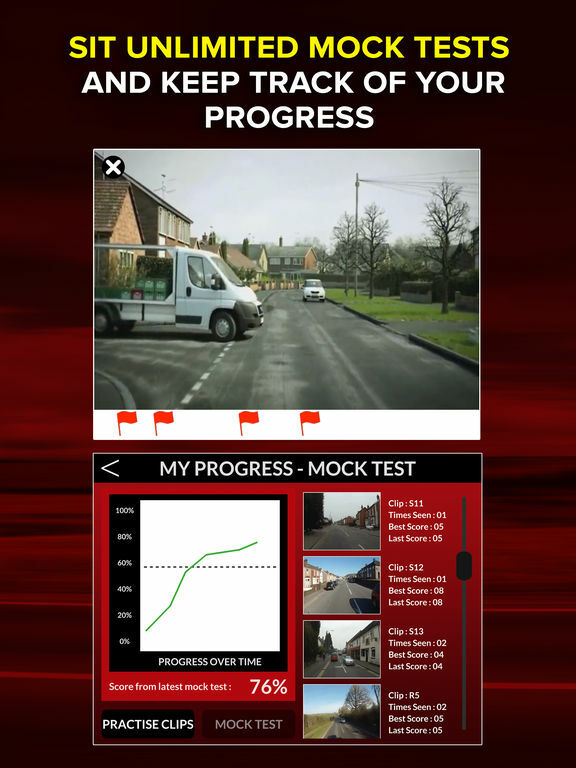 - BRAKING DISTANCE SIMULATOR – Learn and visualise the overall braking distances at varying speeds and road conditions. 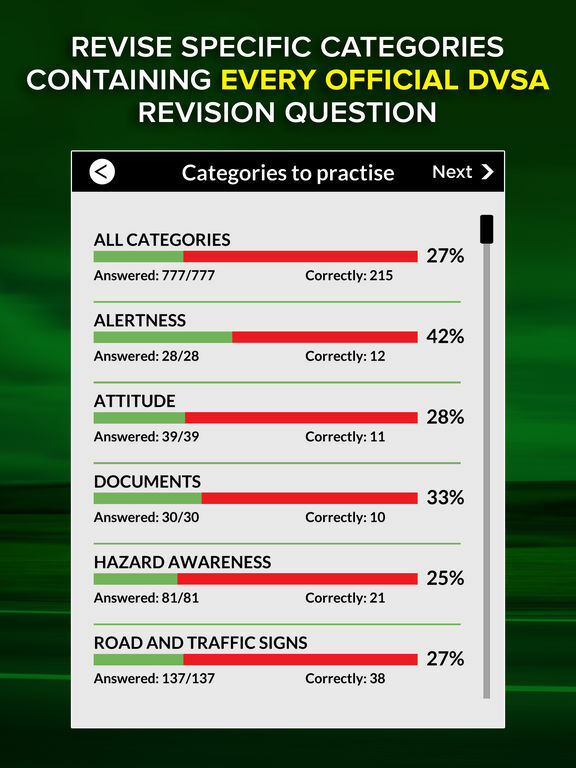 - PROGRESS MONITOR – Keep a track of your strongest and weakest categories so you know which areas you need to brush up on before your test. - MARKET LEADER - We’ve helped over 10 MILLION learners prepare for their tests, so you can be confident that you’re in safe hands! - WORKS OFFLINE – Once downloaded, there's no need to connect to the internet get as much revision as you need anytime, anywhere. - ADVERTISEMENT FREE - No annoying ads to interrupt your learning.